Tony has been yachting since he was a boy and gets personally involved with your training. 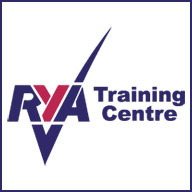 He is RYA certified as a Yachtmaster Instructor (Sail), Yachtmaster Instructor (Motor), Advanced Powerboat Instructor, PWC Instructor, Sea Survival Instructor, First Aid Instructor, Radar Instructor, Diesel Engine Instructor and VHF Assessor. He also flies helicopters and is well known for his calm approach and good humour. At our sea school, you will find a team of exceptionally qualified, fun and friendly Yachtmaster instructors with many years of experience and over 1000 students taught or examined with an exceptional pass rate. On our testimonials page, you can hear audio testimonials from a large selection of our very satisfied students so please have a listen and you will quickly understand why you should study with Deep Blue Sea Training. Since Adam could swim, the world has been full of boats. Boats that you can own and take to the beach, boats that you can sail away and go around the globe. Boats that you race, and boats to save lives. Boats that need crew, captains, mates and officers, chefs and stewards, deckhands and drivers. Boats are a passion, a past-time, a career and an obsession. Working with boats is fun, challenging and rewarding, but it's a competitive business especially in busy yacht hubs such as Palma de Mallorca. You need to be properly trained before you land a dream job, and even more so to keep it. So learning how to do things well is not just about parking a rib, or coming alongside, or stowing a line. It’s about your approach, where you learned, and whom you've learned from. That’s why we started Deep Blue Sea Training.